There are 9 steps to pouring Stella. This may seem like a bit much but the Belgians take their beer – and its pour and presentation – very seriously. 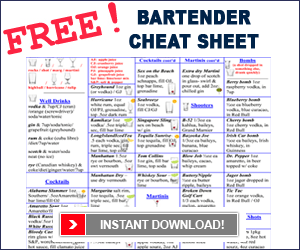 Most of the bars in North America aren’t equipped with the proper systems to serve Stella using the 9 steps outlined below. So if you want your bar to stand out and serve Belgium beers the way they are supposed to be served, you’ve just uncovered your establishments USP (unique selling point/proposition). Enough with the bar marketing talk and on with the detailed 9 steps to pouring Stella. The trademark Stella Artois chalice is specifically designed to release the flavour and aroma of the beer. The purification step starts out by rinsing the chalice under cold, high pressured water to allow the glass to reach the chilled beer temperature. So called because you want to allow the first burst of beer / foam from the tap to go down the drain as this will cause a heady beer if you don’t. This sacrifice shouldn’t be more than about 30ml / oz of beer. Once the first burst of beer is sacrificed, the Stella chalice is then placed into the stream of beer, held at a 45-degree angle. This angle will ensure that the proper proportion of foam to liquid as the chalice fills. The chalice is then lowered and / or straightened as the pour proceeds to ensure that just the right amount of head. The amount of head on the beer is important as this acts as a barrier between the air and the beer, as contact with the air will cause the beer to start losing flavour. When the exact amount of beer has been allowed to enter the chalice, the tap is quickly closed and the chalice moved away. Any droplets that may be hanging or dripping out of the tap after it’s closed should be avoided! The droplets of beer coming out of the tap after its closed are hitting the air and immediately oxidizing, and we don’t want these to ruin our perfect Stella pour. While the head is flowing over the edge of the glass, cut it gently with a skimmer on a 45-degree angle thus eliminating the larger bubbles which are easier to burst and cause the head to dissipate. The proper amount of foam amounts to about two fingers thick or approximately 3cm (1.2 inches). This perfect amount of head acts as a barrier, preventing your Stella Artois from getting stale. The bottom and sides of the glass are then rinsed so that the chalice is clean to hold. And lastly, your Stella Artois is served with the drip catcher resting on it’s base and presented to the customer on a Stella Artois coaster. 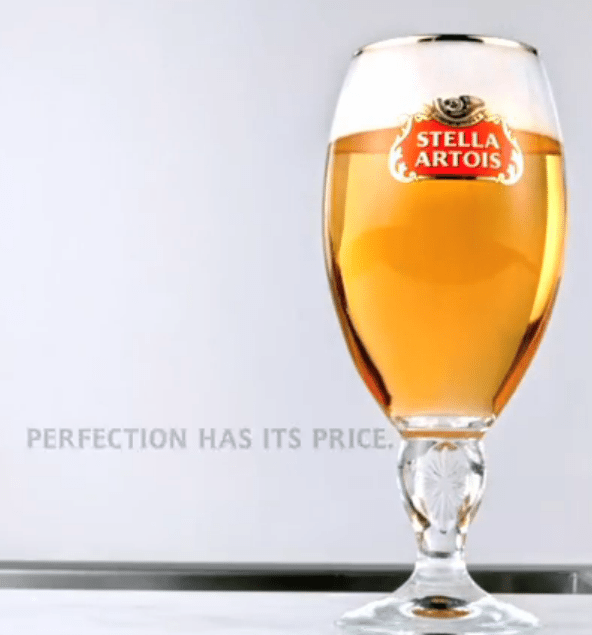 Behold the perfect glass of Stella Artois. Cheers to you, and for your patience, a refreshing reward.